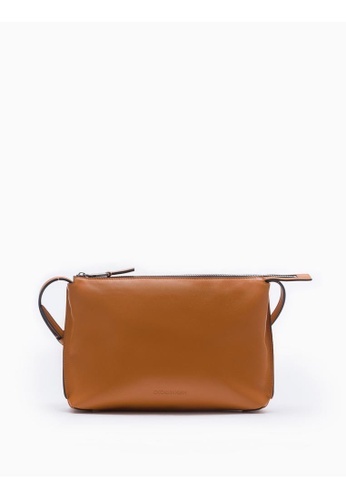 Fashioned from shiny calfskin leather, this minimal pouch provides a canvas-lined compartment with a contoured base to keep your essential belongings at hand and secured. Attach the adjustable, narrow shoulder strap and quickly turn it into a contemporary shoulder bag. This item is sold by CK and fulfilled by our delivery providers. Can't find Small Pouch With Strap in your size?